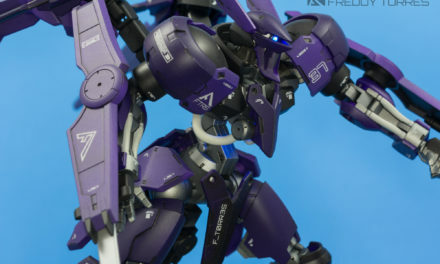 I originally got this kit dirt cheap and had it boxed up somewhere after I snapped it together. Decided that it was finally time I did something to it. Emptied out the chest cavity as much as I could. Also added some styrene to the hole for the neck polycap to give it a slightly longer neck. Wired up the red LED with 24 gauge magnet copper wire, added a resistor and soldered magnets to the end of the wires for the battery. 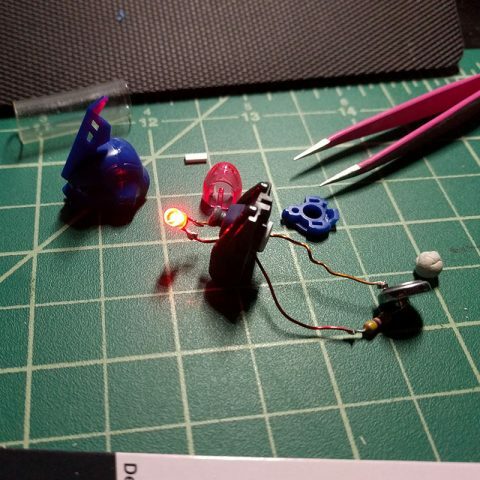 Used a CR927 battery (the smallest 3v battery i could find) and fiddled with the wires until everything fit into the chest. 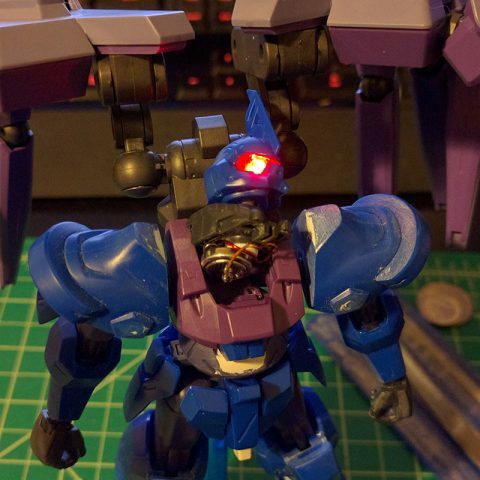 I’m going to use the HG Gaeon’s backpack on this kit but the 2 joint chest was way too floppy to hold it up. 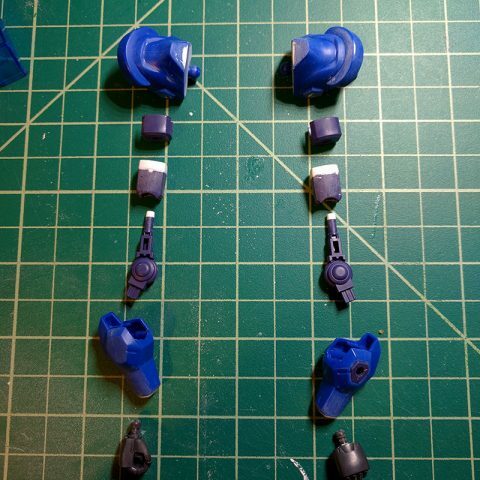 Cut off the pegs from waist and abdomen sections and used a runner piece to add a new peg (plastic cement + putty) that will go all the way up to the top chest piece. I also added styrene to the abdomen piece to extend the chest a bit and the extra plastic also secures the peg a bit better. I didn’t like how stubby the arms and legs looked so they were extended. Just cut the part you want to extend with a hobby saw. 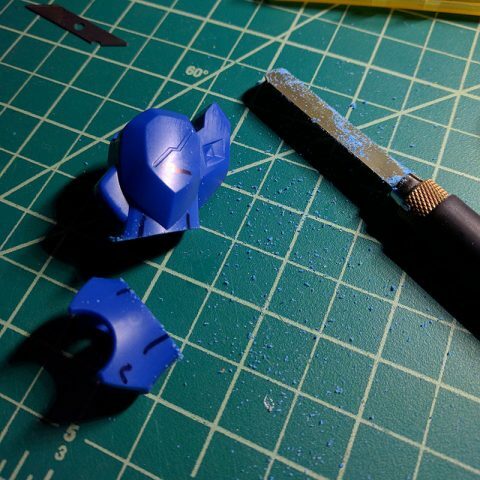 I used the Olfa hobby saw with fits on the Tamiya/Olfa hobby knife handle. 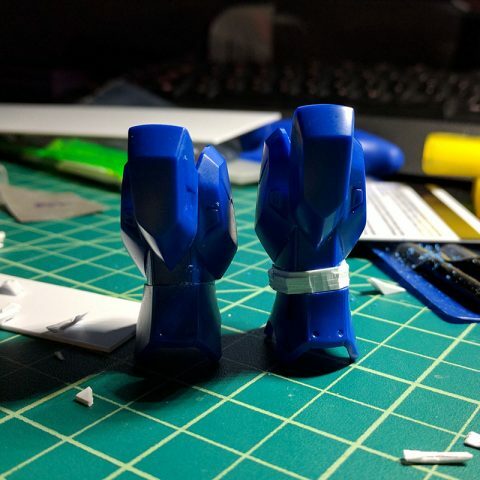 Added about 6mm of styrene and then dremmeled/filed/sanded down the extra plastic until it was flush with the sides of the leg pieces. 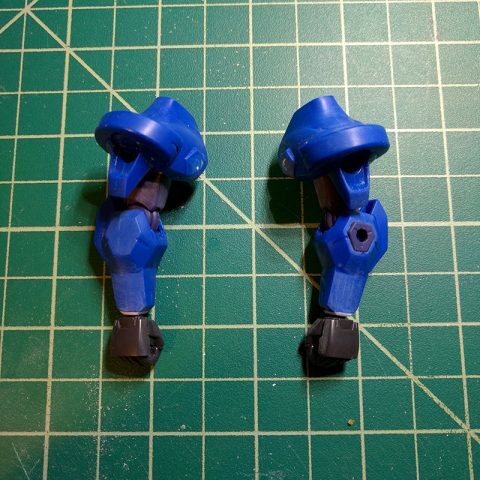 Cemented the bottom part of the leg and will eventually putty the sides and fix the back of the legs. 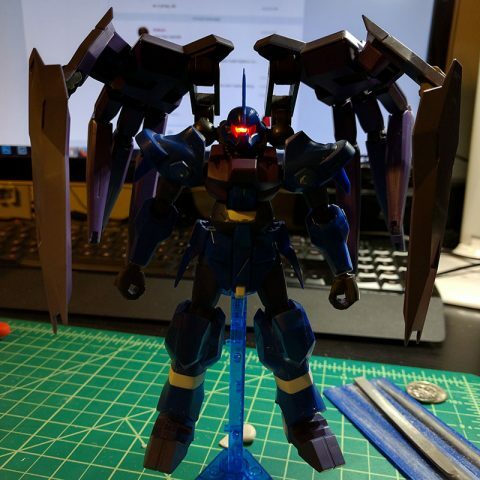 Luckily, I didn’t have to cut anything to extend the arms. 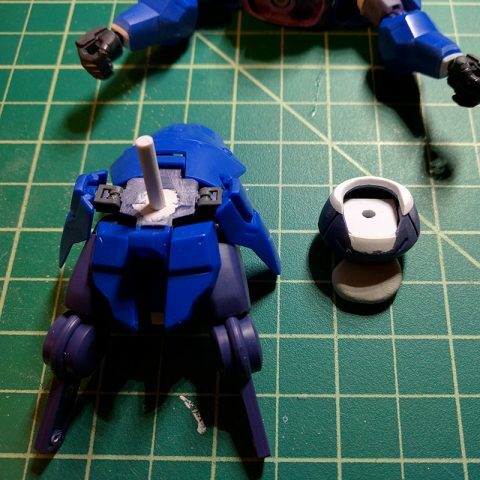 Just added styrene to the peg that attaches to the shoulder and to the biceps. 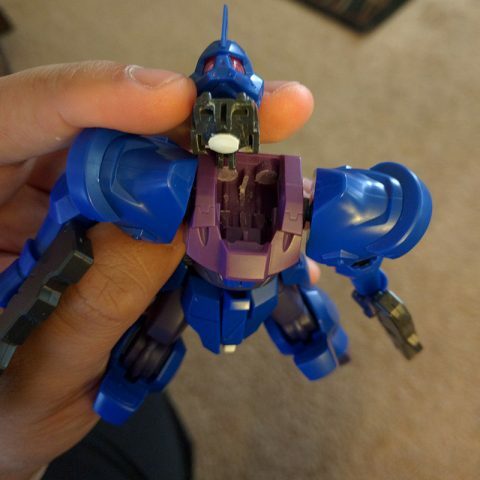 I also added some to the wrist to hide the hand ball joint a bit, it was showing a bit too much of it. 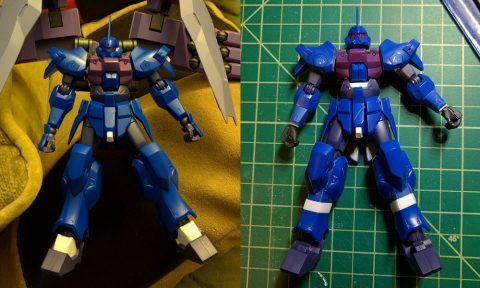 Before and after the proportion changes.